Just how important is the interest rate you receive when getting a new mortgage loan in Utah? Because your monthly mortgage payment includes both the monthly interest you owe on your outstanding loan balance and a portion of the principal itself, the interest rate on your loan greatly effects the payment that is due each month as well as the total amount you will pay back over the life of the loan. A one-percentage point difference in mortgage rates translates into at least a 10% difference in your monthly mortgage payment. For example, taking into account a standard 30-year fixed-rate mortgage, the monthly payment on a $200,000 loan would be $955 with a 4% interest rate versus $1074 with a 5% interest rate. That one percent difference translates to a difference of $119 in your monthly payment. Mortgage interest rates have been around 4% for a while now. However, as the economy continues to improve the possibility for a rise in interest rates continues to grow. Another issue to consider when getting a new home loan is the amount of the down payment and the associated fees. In the past, there have been a wide variety of loan programs to help reduce the amount of down payment required and/or the associated fees. As the mortgage industry continues to become more regulated, however, many of these loans programs are no longer options. This means that even if interest rates do being to rise that the associated loan fees and required down payments will most likely continue to stay about the same as they currently are. This means that getting a loan with the lowest possible interest rate is the most effective way to save on your monthly payment as well as the total amount you will be required to pay back over the course of the loan. In many cities across the country, inventory of homes on the market is very low. As a result, home prices are increasing throughout most of the country. With home prices on the rise and the potential for rising interest rates, now is a very good time to buy a new home if you are considering making a move. 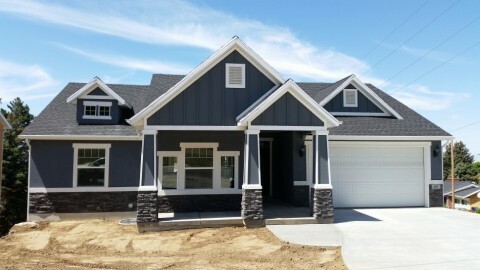 New construction from builders like UpDwell Homes is a great option if you are looking to choose a floor plan and lot that meets your exact needs and wants rather than trying to find an existing home in todays market of lower inventory. Whether you buy an exiting home or choose to build a new home, with interest rates at historic lows and home prices increasing, now is a great time to consider making your move as it could result in savings of thousands of dollars of interest if rates do begin to rise.